The FTM team during its data mining found out that NGN 30 million (USD 99,392.08 est.) was awarded to Sapbi Nig. Ltd. by Kaduna State Universal Basic Education Board for the rehabilitation and construction of existing facilities at Taban Sani Primary School in Taban Sani, Kudan LGA of Kaduna State. The fund was provided through the UBEC/Kad SUBEB 2014 annual intervention. We have initiated the #RefurbishTabanSani campaign to track the implementation of the over NGN 30 million awarded for the project. We employ all relevant stakeholders of this project to join the campaign in order to ensure accountability and transparency in the implementation process. We also use the medium to call on the general public to get involved in the campaign hereby ensuring its success. 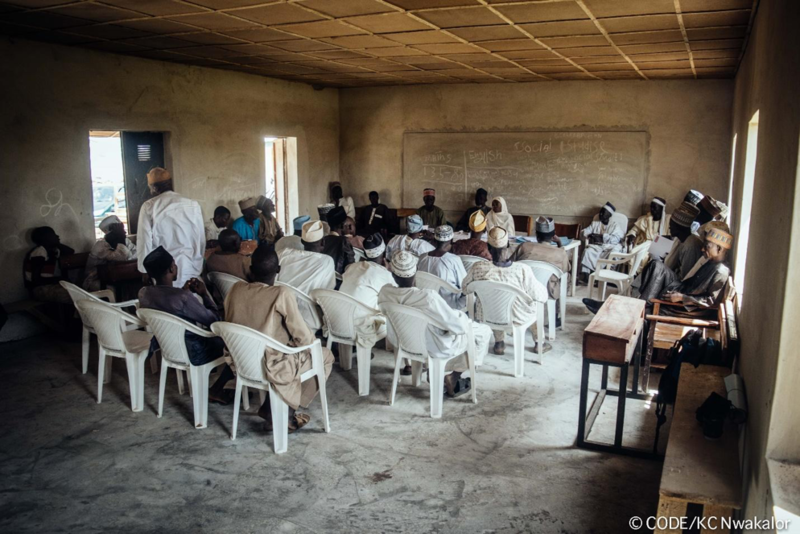 Join us today at ifollowthemoney.org to ensure that quality education is provided for kids in the rural community; which in turn leads to the development of the nation at large. 21 February 2018: The new block has two classrooms and office space. 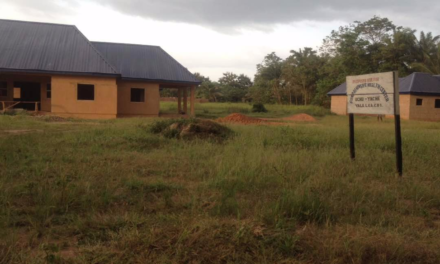 The offices are yet to be provided with furniture and office equipment and accessories. The finishing of the construction was not in accordance with the Bills of Quantities. 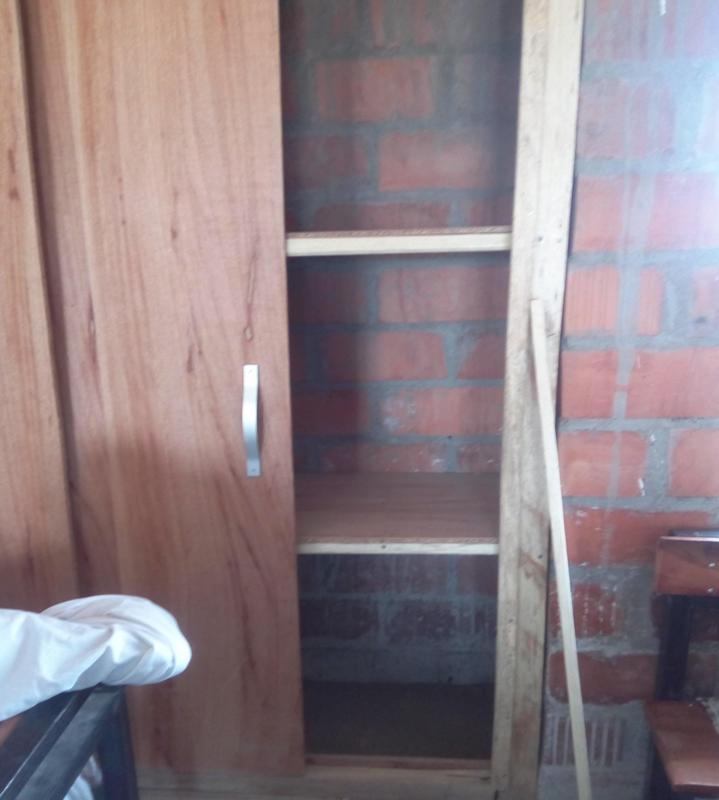 The classrooms which have wooden storage attached are already falling apart. The nails are out, which can be hazardous to the pupils. Regrettably, a project completed in about a month, which received an accolade from the awarding body and also the community members, was hardly in a functional and stable form. 21 February 2018: During the follow-up monitoring trip, it was observed that renovation works on Block A, B, C, D, E and F have been completed. The work done in terms of renovation is okay in accordance with the Bill of Quantities. 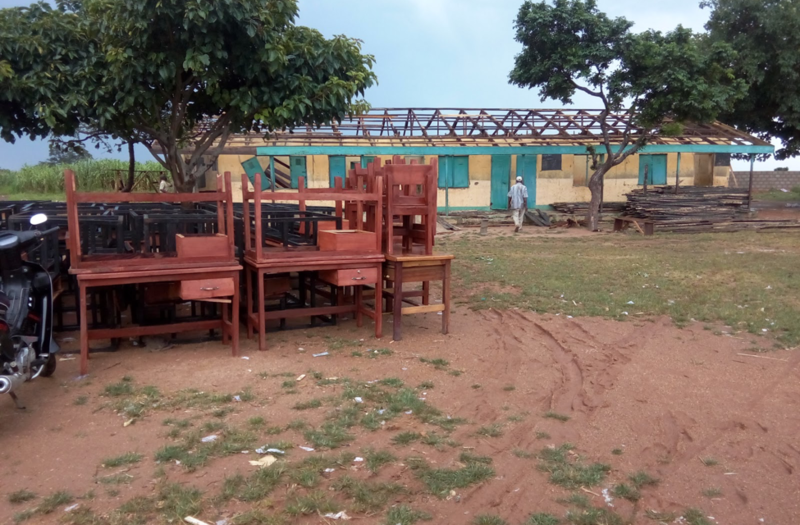 There are issues of hygiene and comfort of the pupils and even the teachers as the classrooms are overcrowded, having few desks for the pupils and very few teachers to attend to the pupils. 21 February 2018: FTM team visited the school to ascertain the quality of the job done and how the red flags identified last year during the town hall meeting at Taban Sani over the projects’ implementation have been addressed by the implementing agencies and contractors. 21 November 2017: FTM team was on LibertyFM 91.7 Kaduna discussing the #RefurbishTabanSani campaign. 14 November 2017: Existing buildings and facilities at Taban Sani Primary School are experiencing reconstruction and rehabilitation. 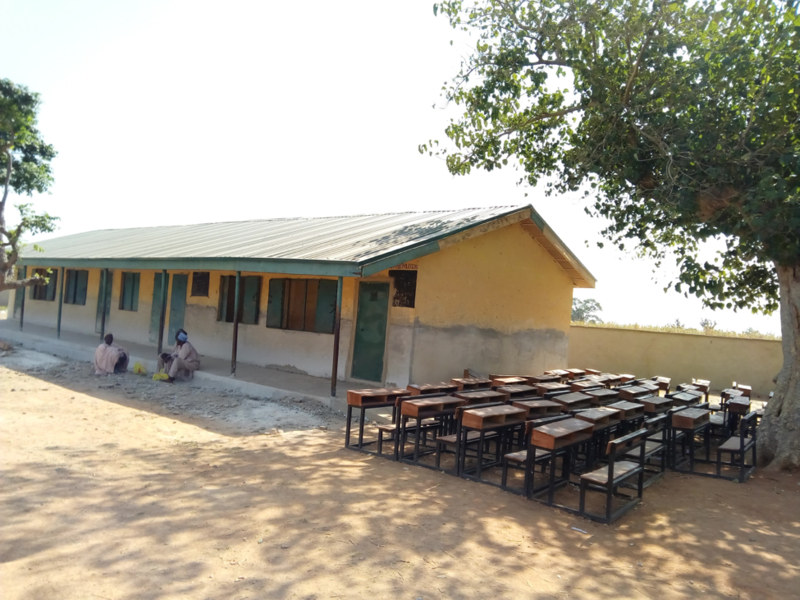 The roofing sheets of most of the blocks were replaced, the new block of classrooms construction almost completed, perimeter fencing completed while painting and finishing work were in progress. The pupils, teachers and community members could not hide their excitement and ecstasy on the pace and quality of work in most of the projects. 14 November 2017: A member of the Parents and Teachers Associations and also a member of the Old Boys Association of the school stated that the school needs not just new structures but qualified teachers to achieve a sound education in Taban Sani Primary School. He also advised the parents to monitor the academic progress of their children at home and also visit the school to ask questions. 14 November 2017: Over 100 participants attended a town hall meeting organised to inject momentum and mobilize grassroots support for the successful implementation of #RefurbishTabanSani. The meeting was held at Taban Sani Primary School. It lasted for about three (3) hours. Similar meetings are noted to have lubricated relationship and facilitated understanding among parties during the life cycle of a project. 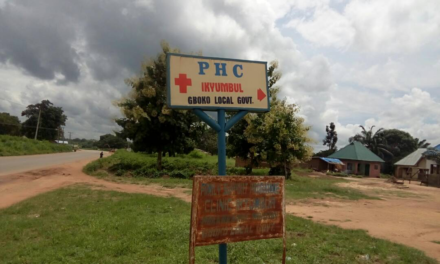 24 October 2017: The village head; Muazu A. Muazu stated that he has a great interest in following the money, he further highlighted challenges of the school which included inadequate teachers, inadequate teaching aids and classrooms. He believes when the project is completed it will increase enrolment. 24 October 2017: Mr Bello Suleiman who is the school’s Head Teacher, lamented the slow pace of the work ongoing in the school, which has made pupils stay under trees to attend classes. 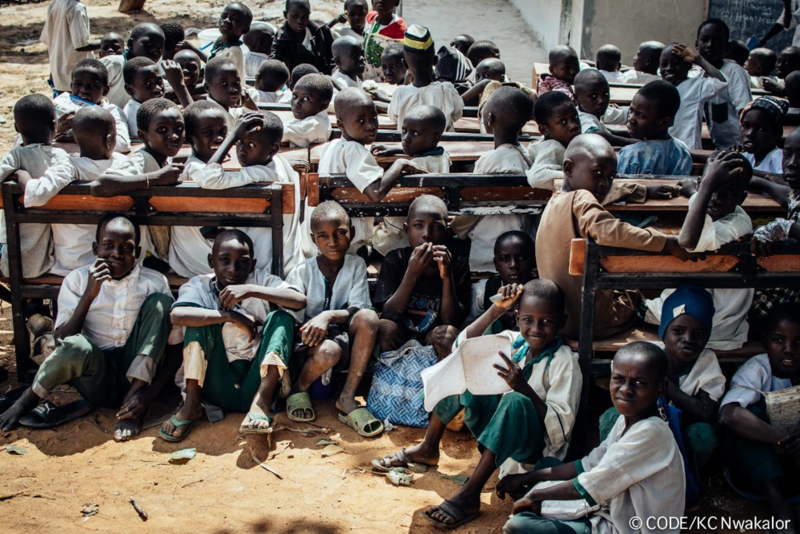 Some of them sit on the bare floor, this can be responsible for the low attendance of pupils recently in the school. He called on the contractor to be more considerate in the time of the project so that it won’t take more than the expected time. The completion of the school he said will enable more children to come back to the school and teaching will also be more impactful. 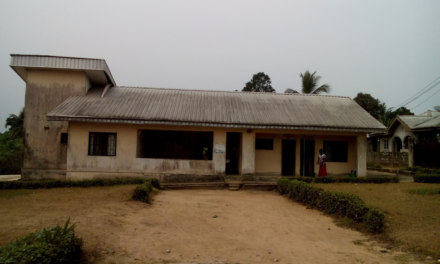 24 October 2017: According to the Bills of Quantities for the NGN 30.39 million appropriations for the school, a block of two classrooms was to be constructed and rehabilitation work be done on 6 blocks of classrooms (block A to F). Other projects include construction of a block of offices, construction of 1block of 2 cubicle VIP toilet for the school and the renovation of existing 3 blocks of 7 cubicle toilets. 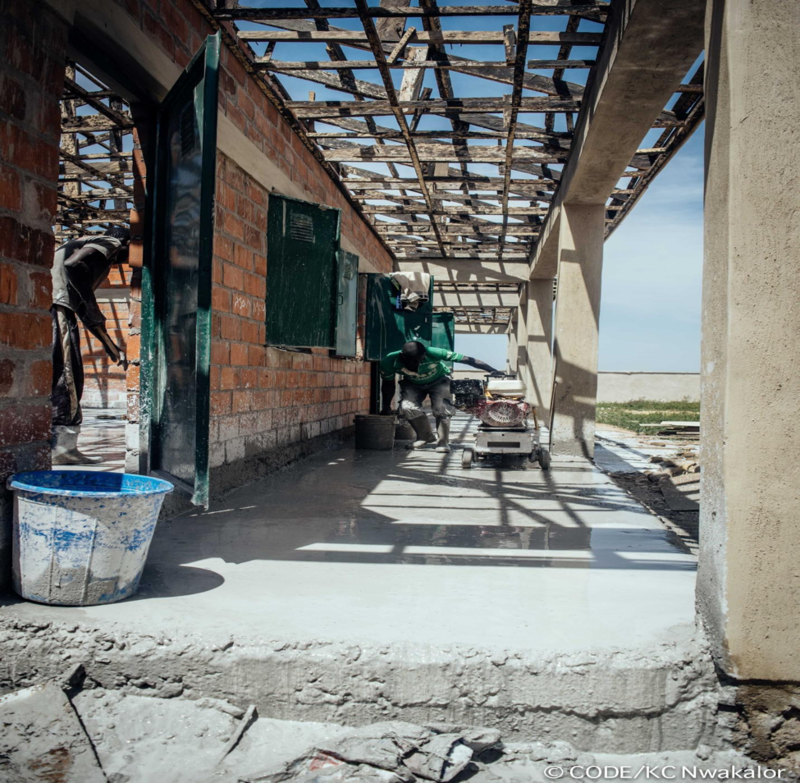 During our visit, the blocks of classrooms were under construction and already at the completion stages. Although windows, doors and terrazzo floor are yet to be done. Also, the construction of perimeter fence has been done but the gate has not been fixed yet. 24 October 2017: After engaging the Community on the project, they all made commitments to following the money meant for this project. Mr Bello Suleiman, the school head teacher who also serves as the SBMC secretary to the school showed commitment to follow the money. He said; ”prior to FTM outreach, he had an average knowledge of the project because he didn’t have the BoQ for the project. He also showed great enthusiasm to follow every penny budgeted for the project and also ensure the project is carried out as stated. 24 October 2017: Members of the community had divergent knowledge on the project. Some didn’t have any idea while others knew faintly about the Project. 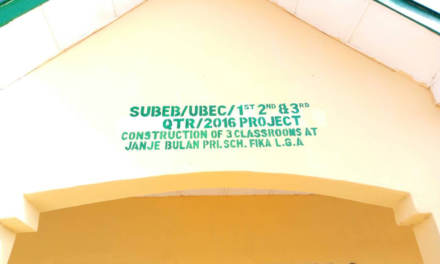 A community member; Lawal Sulaiman Hakimi, a farmer and also PTA chairman of the school said he wasn’t aware of the project been a UBEC/SUBEB intervention. 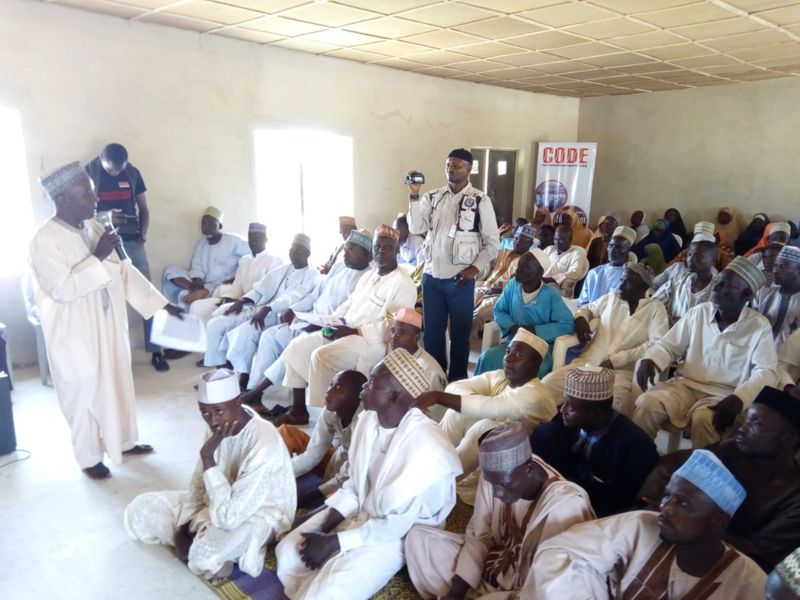 Similarly, Hassan Balarabe, another community member and also a politician said he didn’t know about the UBEC/SUBEB project before the outreach. The women leader, Mrs Adama Sulaiman also a member of SBMC appreciated FTM efforts for organizing a sensitization meeting for her community. 24 October 2017: The FTM Team embarked on a community outreach to TabanSani Primary School and the larger Taban Sani community to track the implementation of the fund and let them know what Follow The Money has been doing on the projects. The team met with the Head Teacher, Community Leaders, Youth Groups, Women Groups, as well as other members of the community. Next#RebuildKufana- Tracking NGN 38,637,182.22 for the Construction and Rehabilitation of Existing Facilities at Kufana 1 Primary School.